Since launching in 2015, Sweden’s Resolution Games has established an enviable reputation for delivering high quality mobile games that users want to play. That should come as no surprise given that CEO and founder, Tommy Palm, was the ‘games guru’ behind 2012’s massively more-ish smash hit Candy Crush Saga. The success of that game helped propel King to a $6bn IPO in March 2014, before Palm left to found his mobile VR games studio the following year. That summer, the start-up enjoyed a $6 million Series A funding round, before launching Bait! 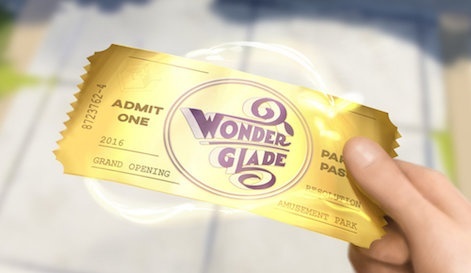 on Gear VR and Daydream launch title, Wonderglade in 2016, then going on to release the first VR game for Facebook Spaces last year. “We’re incredibly lucky!” Says the unassuming CEO before going on to explain. 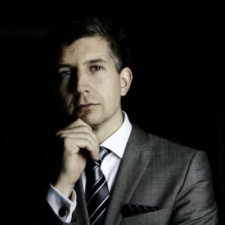 “Stockholm is a very good place of running a games business. There’s a lot of talent there, so we’ve been fortunate enough to recruit some amazing people to the team. We have very high quality talent internally and that has led to really good games even though we’re still learning VR. There’s so much experimentation, but so far everything’s turned out”. The studio’s been open for three years now - a time that Palm describes as, “A really fantastic fun time from being just a few people in a very small office to a good size game development studio that’s able to work on several projects at the same time”. We’ve been able to keep the game productions to about 10 months, so that’s a really satisfying amount of time to actually get a game out on the market. VR landed in the public consciousness with Facebook’s high profile $2bn acquisition of Oculus a few months before Resolution opened its doors for business, but Palm pointed his team at mobile VR rather than the desktop sector. He explained this strategy saying, “We have a lot of experience there and we feel that area needs a lot of great content - I think we’re a good team for that”. Has that decision affected the kind of games they could make? “What you can do with a mobile phone today is amazing. However, at this point you still don’t have your ‘hands’ or 6DoF controller on mobile, which is a big difference. We’re primarily focusing on mobile VR, so we have much less performance to work with”. 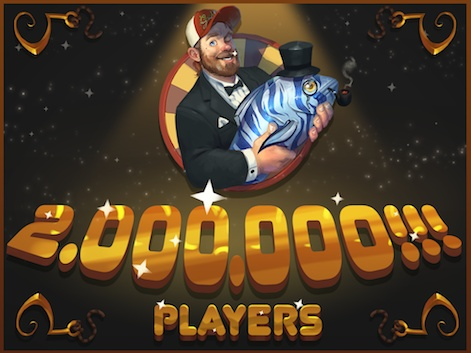 Last year saw the studio bring its hugely popular arcade angling franchise to Facebook Spaces. “It’s been a very interesting project working with Bait! Arctic Open where we have much more performance, can work with haptics... Since everything becomes much higher resolution when it comes to textures and polygons, it takes longer and you need more people. The difference is approximately 200 times when it comes to the number of polygons you can render”. But Resolution turned to its art direction to mitigate against the lower... well, resolution of mobile VR. “We are in a style where it doesn’t feel low poly. If you look close, you can see some edges, but people don’t react to that normally – they just feel ‘this is a cartoony game’. It works really well”. It seems there are advantages to working in mobile VR as opposed to desktop, as Palm explains that, “It’s been really good working with mobile, because we’ve been able to keep the game productions to about 10 months, so that’s a really satisfying amount of time to actually get a game out on the market and so far that’s worked really well”. We do a lot of user testing as soon as we can, with a product in an early stage. I keep getting fascinated how many things we miss. Palm may be an advocate of mobile VR, but he acknowledges that it isn’t without its shortcomings. The average user session across their games is 20 minutes, which he believes is down to the fact that, “The hardware on mobile VR is still a little bit too uncomfortable - the devices heat up a lot. I would like to see longer game sessions and I think a lot of it is it’s not comfortable to wear it”. But Palm explained that rather than specifically tailor the gameplay to those 20-minute windows, “We focus on trying to make a great game and - the session length is important – but it’s more making sure the game is easy to pick up and play, and you can pick up where you left off; things like that”. 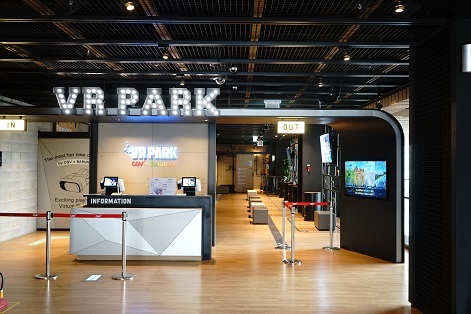 That the games from Palm’s VR start-up are popular with end users could be explained in part by his strategy of seeking their input early on in the process. “We do a lot of user testing as soon as we can, with a product in an early stage. I keep getting fascinated how many things we miss, in terms of somebody puts it on and they don’t understand how to get in or out of a scene. It’s really simple things, but you need to work like that with a new user because you get so blind to the productions that you’re doing yourself”. But it’s obviously not enough for a developer to simply record that criticism; “You need to have a method that allows to fix those mistakes. So we’re working very agile and trying not to plan too much ahead on what the game is supposed to be about”. 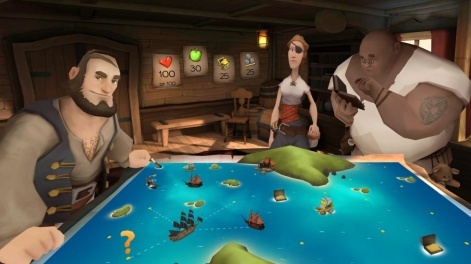 Palm illustrated the importance of agile development with his latest release just out on Daydream, “Narrows started in a different direction and we did a lot of prototyping on sailing around, moving the ship in real time, but we switched it back into a more strategic gameplay. It turned out that this is definitely the direction we should be going. But in this instance, “The changes came from looking at it from a game design point of view. The first prototype we made didn’t feel right and we spent a lot of time trying to tune it, but then we moved in another direction. Sometimes you don’t need user testing because you can see it for yourself and this was one of those occasions”. We are super-interested in social VR. That really elevates everything and takes it to another level. Resolution Games released the multiplayer Bait! Arctic Open for Facebook Spaces in November last year. As the first VR game on the platform, it’s an important move for the company as Palm said, “We are super-interested in social VR. That really elevates everything and takes it to another level. We love the collaboration we had with Facebook, so that’s a platform that we’re very interested in. “There’s a lot of really exciting opportunities to make all type of different things that you would like to play together with your friends. That’s where I started back in the 80s; I started making games and I realised if you play together with a friend, it becomes 10 times more fun! I really like if you collaborate on something; that’s some of the best game sessions I’ve had is when I play a great adventure game together with a friend and we interact”. There’s no doubt in his mind that, “The future of VR is definitely social”. The future maybe, but right now? “It’s not easy at this point to be logged in at the same time as a friend because few people have the hardware and the time you spend in there is not so long”. We’re a big believer in AR. It’s very different to both VR and mobile gaming. VR in general has been eclipsed of late by new kid on the block, AR. Of course, Palm is eyeing this sector. “We’re a big believer in AR eventually. Right now, we are continuing developing great quality content and incorporating the challenge of working with both VR and AR and finding the common areas there and building up technologies that can help us create better games even faster”. Resolution Games now has three teams working on distinct projects and one of those teams has been working for six months on an AR game. “We have prototypes up and running, but we haven’t gotten far enough to decide what’s going to be the target platform. How have they found developing for AR? “It’s certainly exciting and we’re learning a lot; it’s very different to both VR and mobile gaming. It’s two very different platforms. There are some similarities on the tech side of things; we’re still using 3D and the same pipeline, but the user scenario looks very different. “When you’re playing VR games, you’re sitting at home on your couch and dedicating some time to play games, whereas mobile games are much more about convenience; right now you have time to play and you pick up your game. "So that has more of an impact and that’s one of the reasons why we need to experiment – we know so little about mobile AR at this point”. Palm has been working in the games industry for three decades and told us that, “I’ve always been very interested in non-gamers; making games more intuitive and less complex. Controllers really alienate a lot of people; that layer of abstraction makes it harder to love. I really believe that games are for everyone and if you make the effort, you can open the doors for many types of personalities”. With new ways of interacting with digital content, could AR break down the remaining barriers for those non-gamers? “It’s very interesting technology and it’s great to be able to visualise and move your phone around to navigate the camera in a very natural and intuitive way”.